I am a full believer in celebrating life. Small celebrations bring lasting memories. Every day, daily schedules and commitments keep us from enjoying little moments. For fans of Harry Potter, like me, today, July 31st represents the fictional character Harry Potter’s birthday. Along with Harry’s birthday, J.K. Rowling celebrates her birthday too. 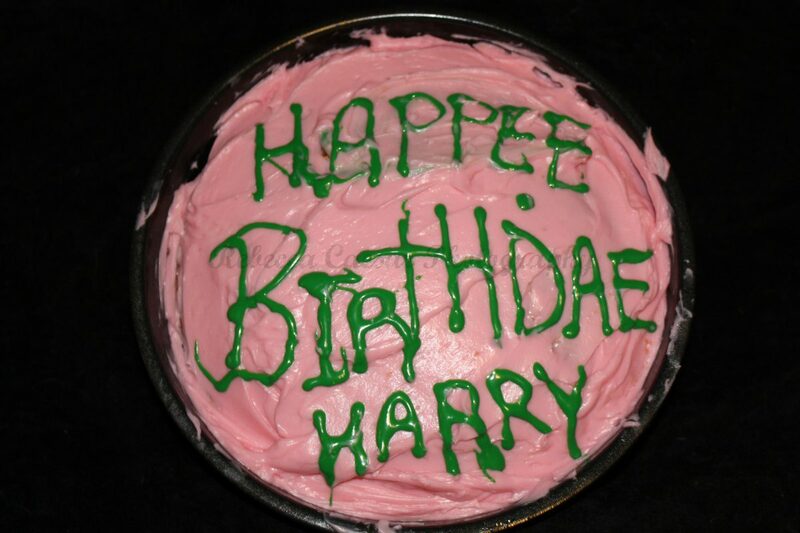 In the book, Rubeus Hagrid provides Harry with a birthday cake on his 11th birthday. The simple introduction from the Keeper of the Keys introduces us into the magical world of Harry Potter. Why not incorporate his birthday into a family fun night? Consider making a quick birthday cake as a special dessert. Gather the family around to watch the first movie, Harry Potter and the Sorcerer’s Stone. In a couple weeks, school, homework, sports and enforced bedtime routines will be part of your already full schedule. Take a moment to enjoy the little things. Rowling, J. K. Harry Potter and the Sorcerer’s Stone. London: Bloomsbury Children’s, 1997.